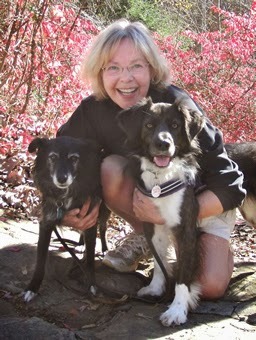 Pawsible Marketing Blog: It's time to get down and dirty with visual content for your pet business. It's time to get down and dirty with visual content for your pet business. That's my Johann (who we nicknamed YoYo very early in his life). YoYo loves to get down and dirty, so I'm taking his cue and running with it today. Over the years, studies have shown visual content gets much more attention than textual content. Take Pinterest as an example. One of the reasons it's one of the hottest means of social interaction on the Internet right now is because of the visual nature of the new social network. There is full indication that visual content gets more attention. And from my experience I find the same indicators on my pet business sites all over the Internet, including websites, blogs, Facebook and in a wide variety of articles on the Internet.. In today's busy world, consumers are inundated with information. So if you are looking for a way to stand out from the crowd do this...utilize powerful visual content - everything from personal photos, funny photos, infographics, larger images that relate to your content and more. The new wave of infographics is a means to capitalize on this ability to stand out from the crowd, but to also explain concepts and ideas to individuals in a unique and fun fashion, hence their new found popularity. 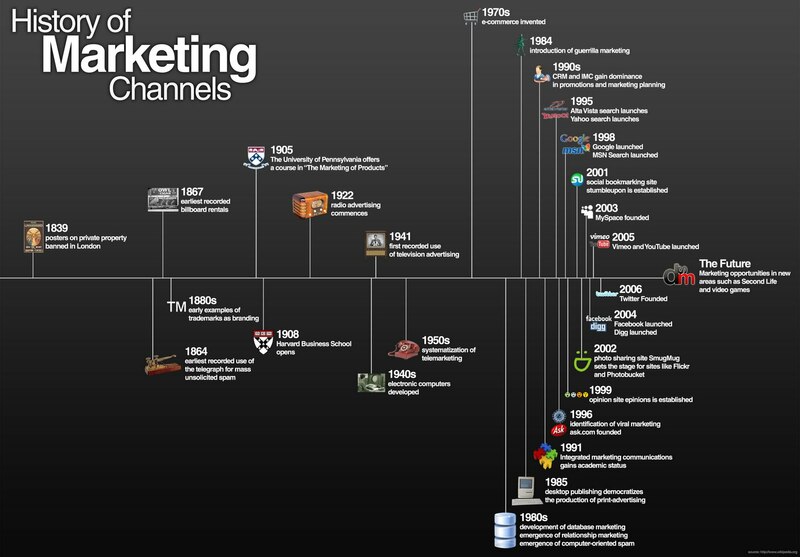 Click to enlarge this interesting graphic of the history of marketing channels. Infographic courtesy of Dream Systems Media.